After finding your perfect dress, your next big step is to choose your bridesmaid dresses. In order to help make the process as stress-free as possible, I will share what I have learnt through my experience when working on a commission and collaborating with a bride to make her perfect bridesmaid dresses. The first important factor to consider is the bridesmaids. It is important to find the right shape and size of the dress for each bridesmaid, as each person will fill out the dress differently. Try to incorporate your bridesmaid’s body to compliment the style of the dress. For the bride I worked with, we agreed on three different styles for her ladies; one off –shoulder, another was a halter-neck and the last one was a V-neck dress. 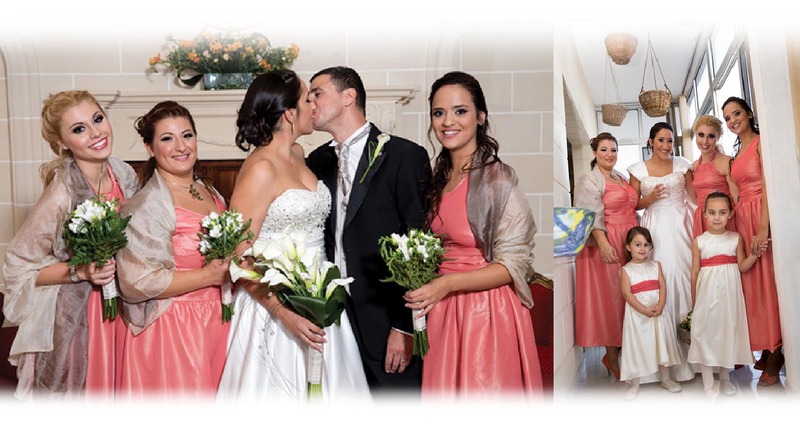 All, were tailor-made to suite her bridesmaids beautifully. When choosing the style of dress it is also important to consider the age of your bride. The dresses where designed to be above the ankle length as the bridal party were of a young age.